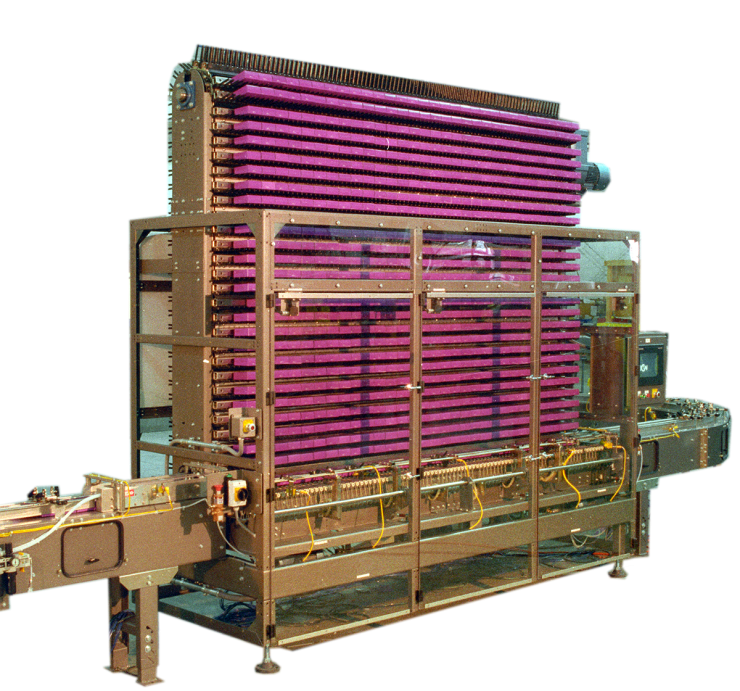 The Dillin “MIDI” is one of our four “standard footprint” ROE-LIFT® Accumulators. Its time tested and patented design provides a reliable, high-speed and high-volume accumulation solution. By standardizing the length and width, and building to your height and accumulation requirements, we are able to offer the MIDI at a substantial cost savings over other accumulation methods. This MIDI Accumulator can be integrated with Dillin’s: Product Handling Conveyors, Merge/Divert Stations, RWave® and/or Incline/Decline Conveyors. RWave® Transfer available on all MIDIs allowing two or more rows of product to be accumulated on every lift rail.